Real quick, please fill out and submit the following questions before proceeding. Just a heads up, you will be unable to book an appointment without first submitting these questions. If you have any questions, please don’t hesitate to reach us. Thank you in advance! Is there a chance you are pregnant? Do you weigh more than 350 lbs? Blood Panels give Physicians a snapshot into your body’s chemistry. However, unlike a visit to a traditional Primary Care Physician, our blood panels are proactive and focused on health optimization rather than simply disease. 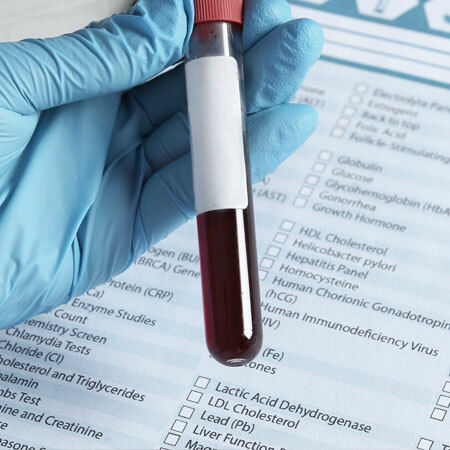 Extensive blood tests are done prior to appointment, including heart and stroke prevention markers, hormones, nutrition, lipoprotein fractionation. Review of all tests are done with Nurse Practitioner or Physician when available. With tools and information to make every part of your process more efficient and effective and a support team excited to help you, starting your health and fitness journey doesn’t have to be hard. Live Lean Rx services are available by appointment at all of our locations. Some services are limited to participating locations. Additionally, service pricing may vary by location. Learn more, view pricing and get in touch with us by selecting a location near you. If you have questions we’re here and happy to help! Please reach us at info@liveleanrx.com and one of our representatives will get back to you as soon as possible.